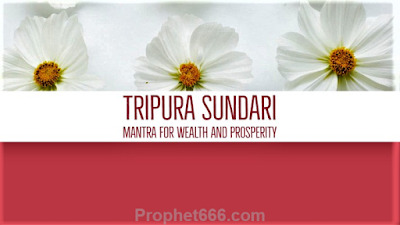 The Tripur or Tripura Sundari Mantra Sadhna for extreme wealth and prosperity can be practiced by following the procedure given below in this post. 1. Do Dhyan of Devi Tripur Sundari and start the Mantra Sadhna from the day of Sharad Purnima. 2. Chant the Mantra given in this post for10000 chants till Kartik Purnima. 3. After completion of the 10000 Mantra Chants do Dashansh Havan. Kamalgatta, Javitri, Belgiri, Kapur, Jau, Til, Ghee, Shami Vraksh ki Fali, Guggal, White Chandan and Rakt Chandan. This is all that is needed for practicing this Mantra Sadhna other rules are the basic rules involved in the worship of Tripur Sundari. There is no need of getting Guru Diksha for practicing this Mantra Sadhna. 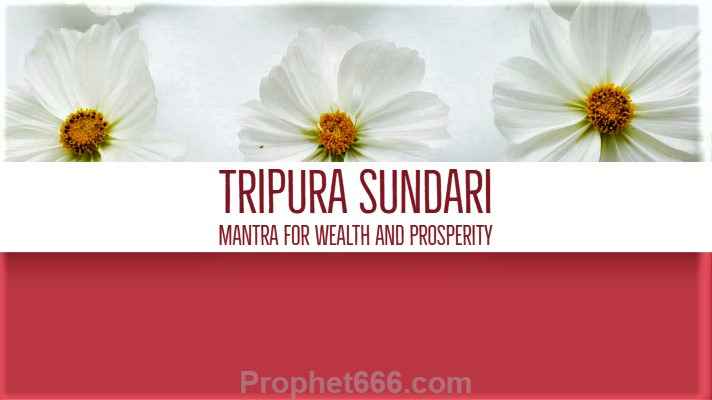 Notes – Tripura Sundari is the third of the Tantric Devis of the Dus Mahavidyas who is also seen as the Divine Mother or the Adi Shakti, the Primordial Goddess who is the source of all creation, including the three worlds. Tripura Sundari is said to transcend everything in creation, including the basic powers of creation, preservation and dissolution and the three Gunas – Satvik, Rajsik and Tamsik. There are many names that are used to address her, the more popular ones being Lalita and Shodashi. Mantra Sadhanas, which are dedicated to Tripura Sundari are said to be most potent and powerful and the effects of the worship of this form of the Divine Mother are considered to be everlasting. Can we get mantra in devangiri pls..
What should be procedure of Havana, how many times we need to give aahuties ? ?